Two world championship titles and one Olympic silver medal are not enough for Chinese figure skaters Pang Qing and Tong Jian. The couple wants to continue its love on the ice with new routines in the upcoming season. "This is the first season after we announced our love affair. 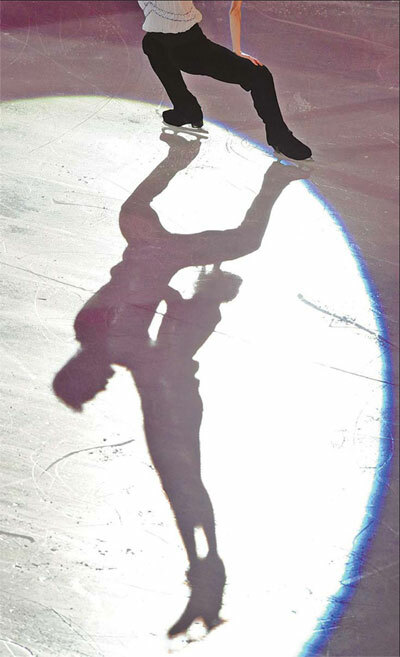 We want all the people to see our change and show real love stories on ice," Tong said. After winning silver earlier this year at the Vancouver Winter Games, their first Olympic medal, the skaters finally admitted their love for each other. Since Olympic champion pair Shen Xue and Zhao Hongbo retired after the Vancouver Games and younger teammates Zhang Dan and Zhang Hao withdrew from all competitions this season because of Zhang Hao's injury, Pang and Tong are the only pair to carry on the tradition of Chinese pairs figure skating. For the new season, which begins with the Grand Prix stop in Japan this weekend, the veteran pair expects to impress spectators with new routines. "Both of the new routines are with expressive pieces of music, which is close to the music style that is most suitable for us," Tong said. To help impress judges and fans with solid programs, the pair invited world-renowned choreographers Lori Nichol and David Wilson to help them with their short program and free skating routines, respectively. Their short program will take place to Nocturne in C sharp minor by Frederic Chopin, while their free skating music is Liebestraum (German for Dreams of Love) by Franz Liszt. "The routines this season look very simple, but the most difficult point is how to combine real feeling into them," Tong told China Daily. "We want to make them real love stories on ice, so it will be not that easy." Compared with their previous routines, which took place to selections from Phantom of the Opera, Romeo and Juliet and Impossible Dream, which comes from Don Quixote, the music of this season does not tell a detailed story, which adds difficulty to the performance. "It's hard to tell people the real stories of the programs only by our body language, but we will try our best," Tong said. To better tell the story, more detailed movements showing the love between the two were added. They interpret them well by their tacit communication through eye contact. "David told us to show the feeling of snuggling up together between the two lovers. We want others to sense the happiness in love," Tong said. At the Vancouver Games, where they performed to the music of Impossible Dream, Pang and Tong earned a record score of 141.81, the highest free skating mark in the history of the event. Even so, the duo is wary of predicting another record-breaking performance. "The preparation for this season is much shorter than that for the Olympics, so it may be difficult to set a new career-high score. But we will let the audience see we are still at the top level of the world," Tong said. Pang and Tong left for Japan on Tuesday. According to the current entries, they have a good chance to succeed as most of their top rivals are absent from the event.